Lord Deedes died at home in Kent after at short illness. Figures from the worlds of politics and journalism have paid warm tributes to veteran reporter Lord Deedes, who has died aged 94. He had a unique claim to fame, as the only man to have edited a national newspaper - the Daily Telegraph - and been a member of the Cabinet. The prime minister said Lord Deedes had been a shining example of commitment to public service. "He started writing as a professional journalist more than 76 years ago and few have served journalism and the British people for so long at such a high level of distinction and with such a popular following. "An MP and also a Cabinet minister, he will be remembered most as an outstanding and long-serving editor of the Daily Telegraph and then a much-read columnist. "You could agree or disagree with his views, but like so many others I found his writing fair-minded, informed, and enlightening." Mr Lewis said it was an "honour and privilege" to have worked with Lord Deedes. "He was a wonderful inspiration - both as an outstanding journalist and as a human being whose wealth of experience and charity work will be very sadly missed." Lord Deedes was replaced as editor of the Daily Telegraph by Sir Max Hastings in 1986, who said: "Bill was a very remarkable figure in every way. "Most journalists are secretly or openly slightly ashamed of our seedy, rackety trade, but Bill was from beginning to end always the gentleman journalist. "He was a reporter of the utmost integrity and enormous skill." Mr Moore said Lord Deedes set the highest standards as a journalist. "The reason why he was such a great journalist was that he remained absolutely on top of what was happening, and he lacked the vanity and egotism that too many of us have. "And therefore he was a superb medium for news because he didn't want to get in the way of it. He understood the job of the reporter was to get the story and to tell it in a clear, crisp way." Baroness Thatcher knew Lord Deedes for more than 50 years and he was a close friend of her late husband Sir Denis Thatcher. 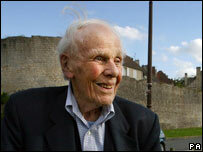 She told the Daily Telegraph: "Bill was a dear friend who will be greatly missed. "He had a uniquely distinguished career in politics and journalism. "He managed to appeal to new generations just as effectively as he did to earlier ones. I am deeply sorry at his passing." Mr Neil, a one-time colleague of Lord Deedes at Westminster, paid tribute to him on BBC News 24. "What made him special was his longevity for a start. He was around for ever. "I remember meeting him as a young man when I joined the lobby in the 1970s, and 30 years later he was still writing as prolifically as ever. "He had a wonderful knowledge. He had seen everything, he had done everything. He'd been in the Second World War, he'd lived through the Atlee government, the rise of Thatcherism, the rise of Blair. "And he was also charming. He was charm personified and he always had time to help young journalists." Mr Cameron said Lord Deedes was a "one-off". "Bill was quite extraordinary, doing enough in his time to fill at least three lifetimes. "Listening to him, whether about politics, journalism, or events on the other side of the world, he was always a source of both wisdom and entertainment. "It's a cliche to say, 'We will not look upon his like again', but I suspect with the passing of Bill it is true." 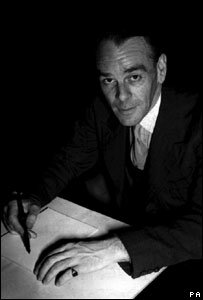 Sir Menzies said Lord Deedes had "distinguished himself both as a politician and as a journalist". "Bill Deedes was held in great affection by many people who never met him face to face. "His independence of mind shone through his regular column in the Telegraph." Lord Rees-Mogg told BBC Radio Five Live about his memories of a "delightful man". "He was very fresh, he was young-hearted and he was full of courage. His work on land mines and going out with Princess Diana was very brave stuff. "He was a decent man who had a feeling for other people and the damage that the power of newspapers can do to them." Mr Jones told the BBC that Lord Deedes had immense experience. Lord Deedes in 1954. He was made a life peer in 1986. "He spanned back into the generations. I mean, anyone who read Evelyn Waugh's Scoop, Boot of the Beast was based on Bill Deedes. "He then had an impressive war record, he was then a Conservative MP, then a newspaper editor. 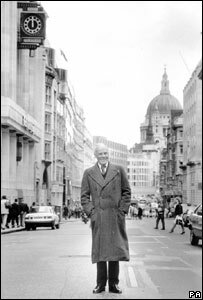 "But he was a newspaper editor who'd go down into the pub next door to the old Telegraph building in Fleet Street, The King and Keys. He'd have a pint in his hand and talk with and be with his journalists. "So he was an editor who was a hands-on editor, he was an editor who could write and work with his journalists."